BOOK ONLINE AND SAVE! LITTLE RIVER WATERSPORTS OFFERS THE LOWEST PRICES IN THE MYRTLE BEACH AREA! We'll match or beat any price! Little River Watersports is a jet ski rental company featuring brand new 2018 Sea-Doo GTI's and proudly serving the Carolina's from Myrtle Beach, North Myrtle Beach, Cherry Grove, Little River, Atlantic Beach, Calabash, Sunset Beach, Ocean Isle, and surrounding areas of The Grand Strand. Our myrtle beach jet ski rentals are conveniently located just a few miles from the touristic hustle and bustle of Myrtle Beach in the heart of Little River's historic waterfront, next to Crab Catchers. We are the closest jet ski rental company to the ocean on the beach. This allows us to provide you with the maximum enjoyment and entertainment options as we get there quicker and ride there longer! Little River Watersports has made renting a jet ski so easy! We offer jet ski tours as early as 8am. We take you sightseeing on the intracoastal waterway, and we even have a dolphin watch tour that is a hit with everyone. Contact us to set up your custom guided tour with multiple times and options. Experience Little River's historic waterfront and all its surrounding areas filled with breathtaking scenery including islands, local fishing boats, and untamed wildlife such as dolphin. The excitement awaits, book your guided tour online or call us today! Experience Little River's historic waterfront and all its surrounding areas filled with breathtaking scenery including islands, local fishing boats, and untamed wildlife such as dolphin. The excitement awaits, book your guided tour online or call us today! ALL JET SKI RENTAL TOURS WILL BE REQUIRED TO HAVE A 24 HOUR SCHEDULED RESERVATION!!! MUST BOOK 24 HOURS IN ADVANCE FOR ALL TOURS!!! Little River Watersports offers many activities & equipment while you're on vacation! Want to take your tour home? We offer photos & video - Forgot something? No Problem! We'll match or beat any price! Little River Watersports offers many activies & equipment while you're on vacation! Want to take your Jet Ski tour home? We offer photos & video - Forgot something? No Problem! Check out some of our Little River Watersports Jet Skis in Action! We can also supply you with a video to take home with you after your vacation! I came to South Carolina on vacation and my sister-in-law talked me into going on a ski jet Expedition. Boy am I glad she did, it's some of the best fun I've ever had! I would recommend Little River watersports to anybody, the instructors were very informative, friendly, and tentative to our needs. Thank you Little River watersports for the great time! What a find. The people were great, super easy-going and receptive to a diverse group of riders. The 2 hour guided tour was a blast, rode near dolphins, ship wreck, open ocean and mellow waterway- cant say enough good stuff about this place! Highly recommended. One of the perks of this outfit is, you are so close to the ocean! Other tours are based about 30 minutes from the Atlantic, so you have so much more time searching for dolphins, instead of riding the Waterway! 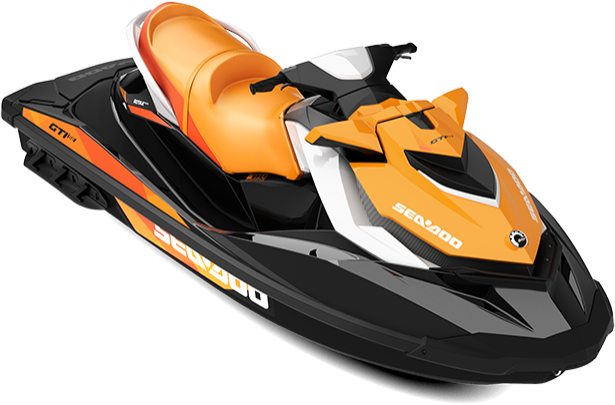 Brand new jet skis and an awesome staff! Best on the strand!